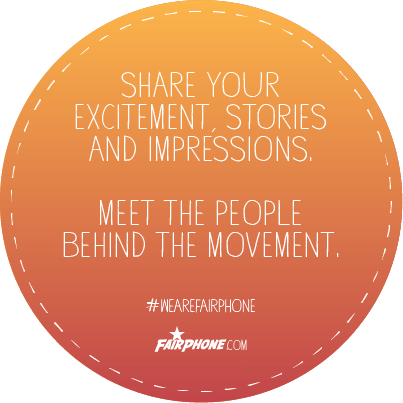 "We Are Fairphone" – Kicks Off! By the time you read this, over one thousand (1,000) of the first Fairphones will be on their way across Europe. Well, there was a small chance that a few phones would be delivered just before the Christmas holiday, and we did it! We’re happy to announce a – small – batch will arrive today! Besides a nice surprise for our first buyers, this is a great way to get our logistics, planning and customer service ready and running for the next batches of phones that will be delivered after Christmas and into next year. We will be keeping you up-to-date as delivery progresses, and all Fairphone buyers will receive a notification once their phone leaves the distribution center in the Netherlands. There’s going to be a ton of activity in the coming weeks. Especially when people start receiving their phones, they may wonder – what do I do first? Well, we’d love to know who you are and what it’s like to get your Fairphone! In fact, we have set up a place online especially for you, somewhere you can show us who the community is behind Fairphone! To share the love, upload your pictures, stories, and videos using the hashtag #wearefairphone. Then, we can all take a look at our collective social wall at www.fairphone.com/we-are-fairphone to meet our community. The wall will aggregate content from Twitter, Facebook, Google+, Instagram, Pinterest, and YouTube. Let us know if you think we’re missing a channel. Then, more importantly, you’ll want to start using your phone. To start you off, team members Roos, Nico, and myself, have put together some tutorial videos to help explain a few basic steps to get everyone started. Things like: How to get you online, How to change your system language, and How to add media onto your phone. We wanted to give everyone a personal tour. We hope you like them! Maybe you’ve noticed that some of the buttons at the top of our website have changed. That’s because we’ve added two new sections to our website. A Support Center that gives all the answers to your questions, and a Forum, that serves as a place for our community to ask, answer, and discuss all the other stuff they’re interested in. Visit our Support Center to view the tutorials and find out more about how to get started. The Forum is still quite empty and waiting for you to share any knowledge you’d like to share with the community. We want to make your first moments with the Fairphone as smooth and stress-free as possible, so if you still have questions after scrolling through the Support Center, you can contact us directly by pressing the “Ask Us” or “Support” button on any page of our website. One last thing: we’ll try our best to answer all your questions as quickly as possible – but being the holidays, we’re gonna take a couple days off, too. Please keep in mind, we will be closed for the holidays on Wednesday and Thursday, December 25 and 26 (first and second Christmas Day in the Netherlands). We also will be making our New Year’s Resolutions on Wednesday, 1 January – so no office hours then. 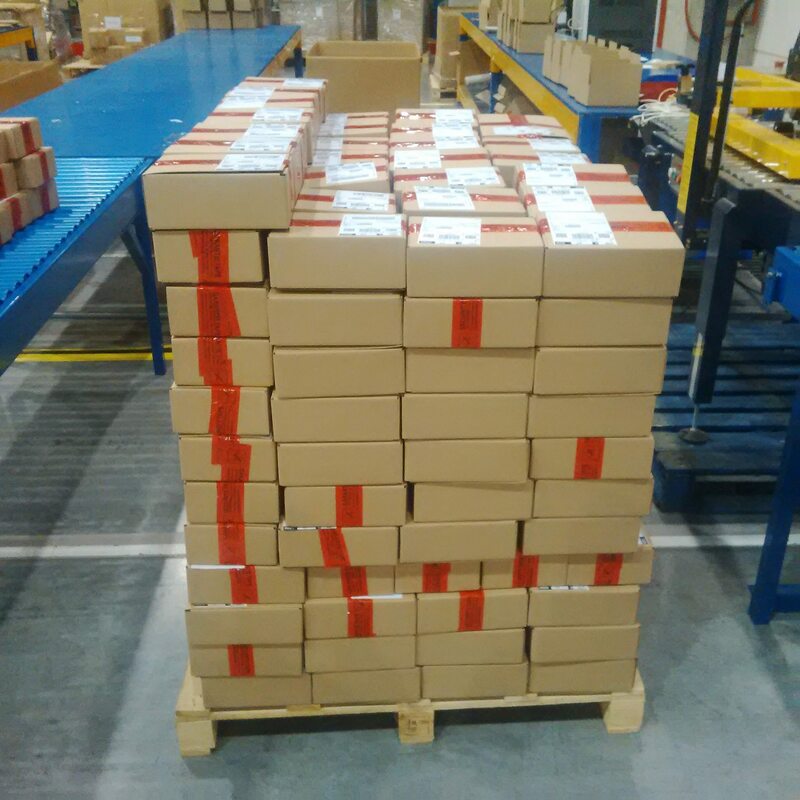 And to wrap up: the first Fairphones leave China, get packaged at the distribution center in Holland and are off to first buyers! First phones in small boxes. Hello, the Netherlands! Next step: your homes! Show us here!